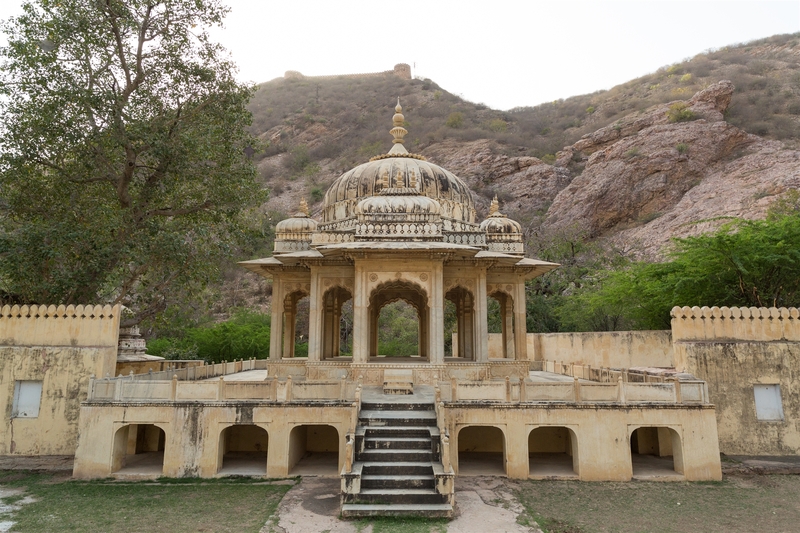 Gaitore is a royal cremation ground for the Kachhwaha Rajput kings and the members of the royal family. 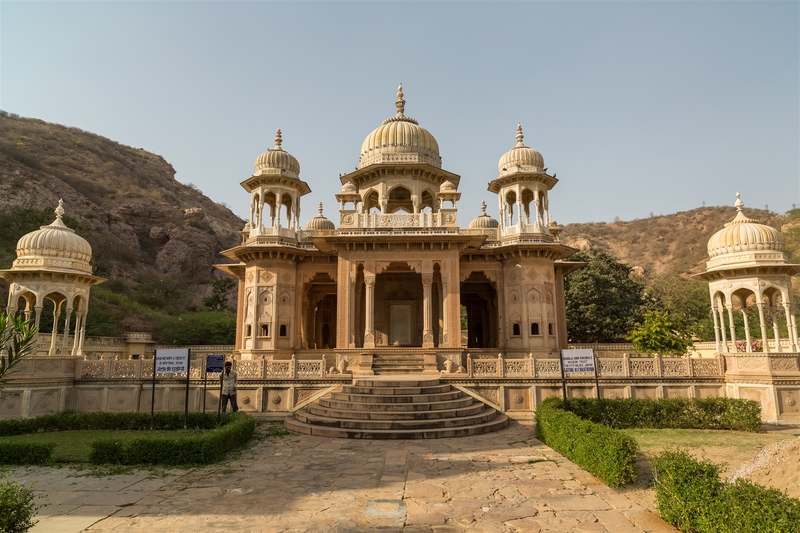 It’s located right on the edge of the city towards Amer Fort, so can be dropped into your itinerary at any point really. I arrived quite late in the day as the sun was setting, the place was deserted apart from the usual attendant keen to be a tour guide for a few Rs. 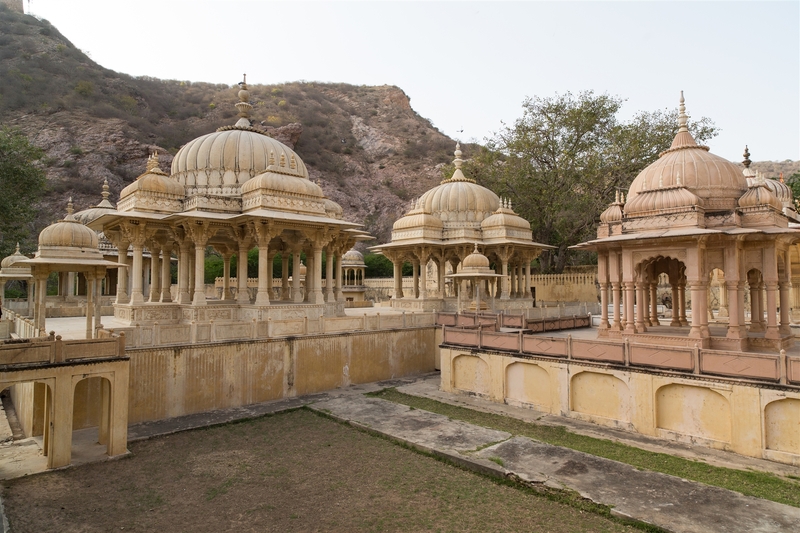 The valley has cenotaphs (chhatri) made of marble and sandstone with Rajastani carvings, dedicated to legendary kings who ruled Jaipur. 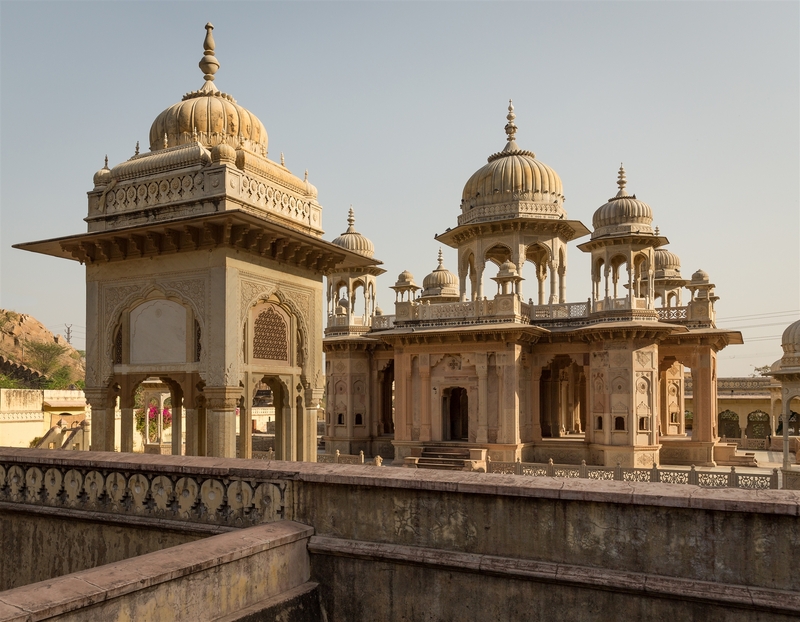 A blend of Islamic and Hindu temple architecture, Gaitore has cenotaphs of Sawai Ram Singh, Sawai Madho Singh and Maharaja Sawai Jai Singh II. 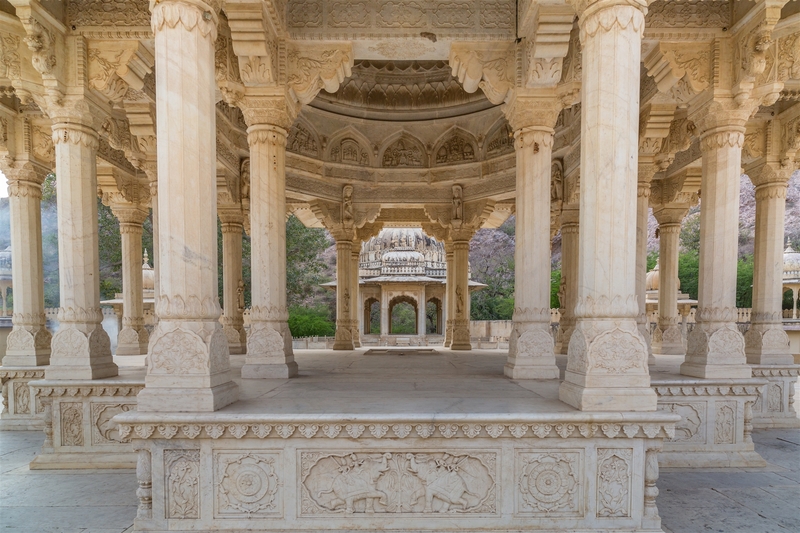 Among these kings, the cenotaph of Maharaja Sawai Jai Singh II is quite impressive with its intricate peacock carvings and designs on beautiful white marble structure. 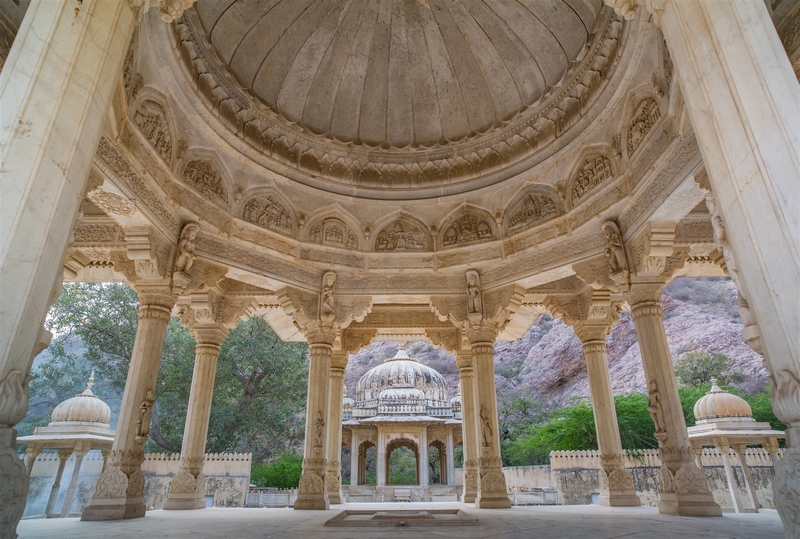 It is said that the carvings on each cenotaph reflects the taste of the respective king. Gaitore is open 9am – 4pm (4pm-ish, I was there later).